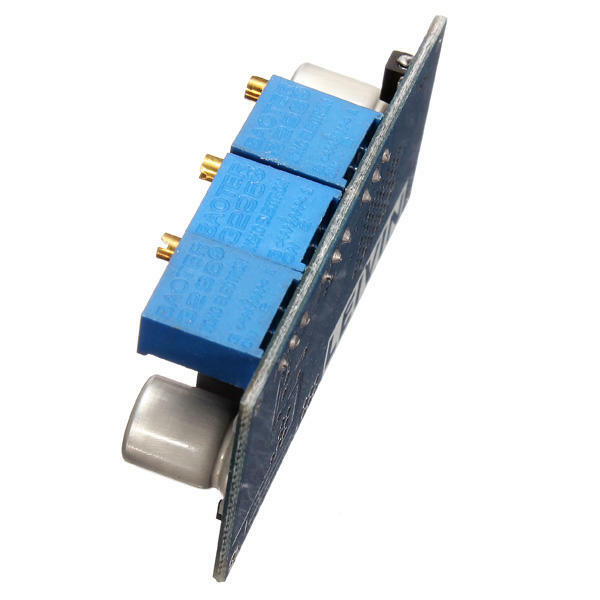 This module uses the LM2596 chip, high efficiency (up to 92%), low heat, can be very easily used to above 3A current, in conjunction with the original TI op amp control output current, so the overall output is very stable. 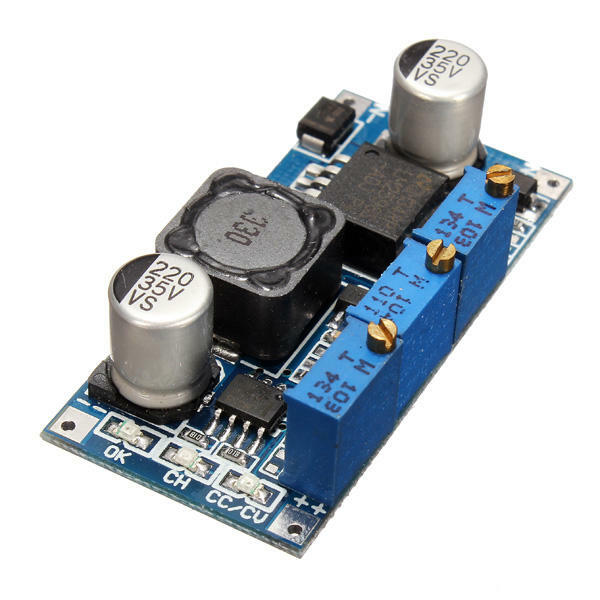 This module uses the original Sanyo low ESR filter capacitor, you can make low ripple voltage to 50mV! This module uses machine placement, reflow soldering. 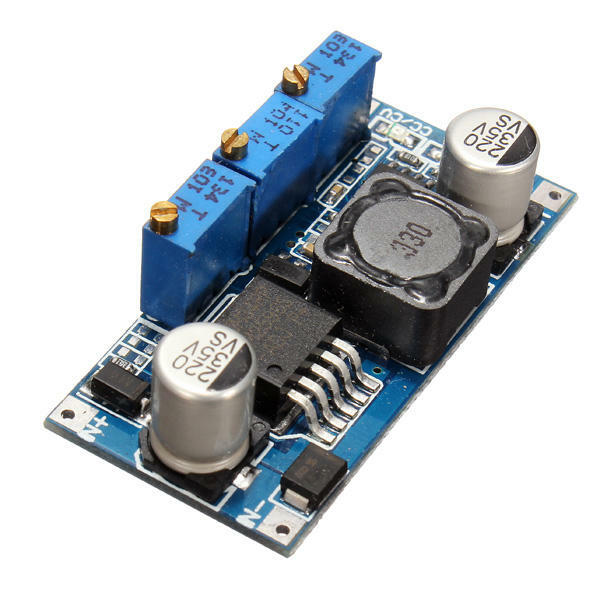 This module is an adjustable buck module, the module can be adjusted from the blue adjustable resistor to change the output voltage. Input and output differential pressure is 2V, the minimum can be output 1.23V. Module indicated IN - (negative input), IN + (positive input), OUT - (negative output), OUT + (positive output), please note must be correct connected, otherwise may cause damage to the module. 2. Adjustment constant potentiometer, the output voltage is adjusted to about 5V. 6. Connected to the battery and try to charge. 2. Adjustment constant potentiometer, output voltage adjusted to about 5V.